On June 1st 2018 Accace Poland became an official partner of the Integrated Kindergarten “Małe Misie”. We sponsored a wheelchair stair climber that will allow disabled children to climb up and down the stairs. The electrical wheels lifting system in this device allows to move easily. The adjustable life-belts and engine block device will guarantee children safety and stability. 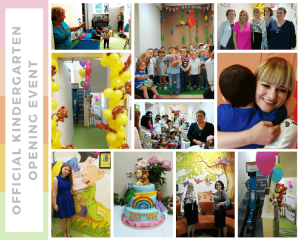 On June 27, Accace Poland has participated also in official opening event of the Integration Kindergarten “Małe Misie”. We had a pleasure to watch performance of 3-5 years old children – both healthy one and disabled children with autism, down syndrome, children with reduced mobility ect. We are happy to become a Partner and hope that our first step in partnership such as donation of stair climber will make life – of disabled children, their councelors, disabled parents visiting their healthy children – much easier. We know how important stage in development of each child is a kindergarten. The idea of an Integration Kindergarten is very close to our hearts. We agree that learning of tolerance and mutual respect, disinterested help, partnership through the mutual play of non-disabled and disabled children, based on equal rules and rights, has positive influence on childrens’ mental and physical growth.